Temperatures on Thursday reached 35.1 degrees Celsius at Wisley, in Surrey, southern England, officially making it the hottest day of the year so far. 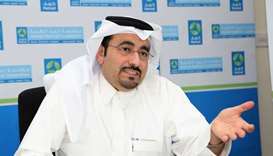 Hamad Medical Corporation (HMC) has reminded the public to protect themselves and their families, especially young children and the elderly, from illnesses caused by high temperatures and humidity. 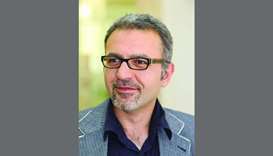 Patients with skin and respiratory allergies should take a set of precautions to avoid serious complications during the summer heat and humidity, a senior consultant and Hamad Medical Corporation as well as Sidra Medicine has advised. 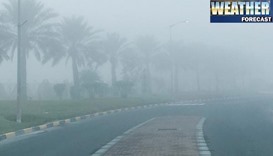 A series of foggy days is expected in the country from Friday until Tuesday, January 2, 2018, the Qatar Met department has said. 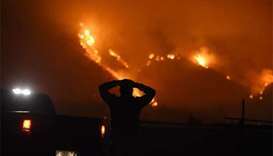 Firefighters on Tuesday hoped to take further control of a massive California wildfire, the fifth largest in the state's history, as relentless wind gusts and bone-dry weather were expected to persist. Qatar Red Crescent’s (QRCS) Medical Affairs Division conducted several health education events recently to mark Heat Exhaustion Awareness Week. 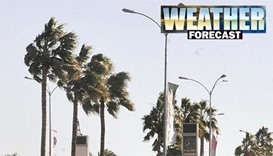 Strong winds and high seas are expected in offshore areas on Monday even as humid conditions are likely to intensify by night, the Met department has said. 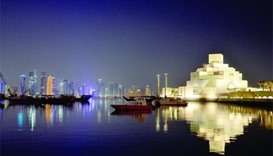 There is a chance of light rain in some places in the western parts of Qatar on Tuesday, the Met department has said. So far this year the humidity has stayed fairly low in Doha. In June, there was only one day which had humidity of more than 67%, and that was on the last day of the month. 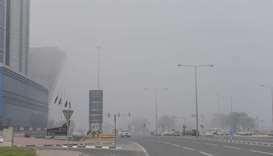 The Qatar Met department has warned of a drop in visibility due to foggy conditions in the early hours of Thursday and Friday, followed by a gradual rise in temperatures over the next few days.